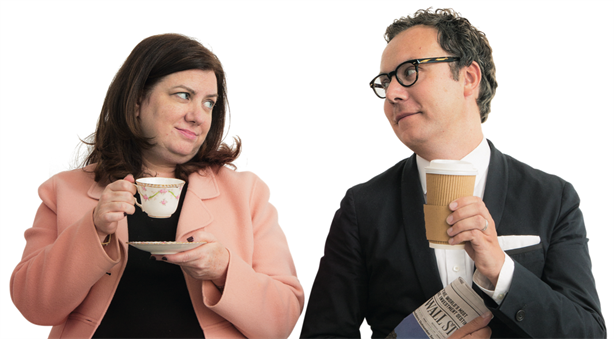 PR professionals in the US are generally more "polished" and "professionalised" - and continue to work as executives at an older age than their UK counterparts - says Golin's Matt Neale, a Briton who now helps run the agency's New York office. Neale also said the small, "plucky" creative agency that exists in the UK is a rarer sight in New York. Golin’s president of international, who moved to New York one year ago as co-president or that office, took part in a face-to-face discussion about differences between working in the US and the UK with Denise Kaufmann – American CEO of Ketchum London – as part of PRWeek's International Expansion series. Regarding the working styles of the two countries, Neale said: "I find that Americans are far more professionalised in client service. These people are so polished. "They are also older. I think in Britain you get given quite a lot of responsibility at a younger age, whereas in America there are more people in their 40s and 50s still at the peak of their game and there is room to rise. There is maybe another layer of seniority in America that we don’t have here that goes with greater budgets and a bigger country." Kaufmann agreed, comparing the style in the US to a management consultancy. Last week, a PRWeek UK analysis of research showing that the chief executives of the UK's top PR agencies were predominantly under the age of 50 asked whether the industry had an ageism problem and a dearth of older practitioners. In terms of agency differences, Neale said: "The plucky creative agency that exists in the UK... there is really no place for it – that I’ve seen so far – in New York. They just [act like], ‘well, you haven’t got the scale – prove that you’ve done it before’." He added: "The small creative agency is not as respected in the US as it is here." Elsewhere, Neale observed that employees tend to "hop around" between jobs more often in the US, and Kaufmann said the style in America can be "much more direct". Click to read the full interview, where differences in pay, diversity, the media, and the work/life balance are also put under the microscope. The interview was part of PRWeek UK's February edition on the theme of international expansion.